Precarious financial problems, bad credit, and excessive debt are significant causes of physical and emotional stress. The most common form of debt in America is credit card debt. Millions of Americans owe more to credit card companies than they can possibly pay back in their lifetime by making just the required minimum monthly payment. If you are in this debt trap, now is the time to take those first steps toward becoming debt free. If you learn how to handle your finances and control your spending, you can be on the road to financial freedom. Personal debt continues to run at record levels around the globe. Fortunately, reducing your debts is almost always possible, and these fundamental steps will set you on the right track. 1) Make a Budget: The single biggest reason for personal debt is living above your means. This is why it is so important to create a budget and make sure that you stick to it. The first step in any solution is understanding the problem, so begin by tracking your expenditure. Be brutal with yourself: don’t ignore minor items or try to convince yourself that something is a one-off purchase. Make sure you list everything. There are many websites that provide the necessary advice and sample formats to prepare a proper budget, so take advantage of them. Having a detailed, accurate overview of your income and expenditure allows you to find where your income is going and helps you make the changes necessary to reduce your debt. 2) Prioritize Existing Debt: Once you’ve sorted out your budget, you need to look at your existing debts. There are two categories of prioritizing debt payments: by size and by cost. Financial advisers usually encourage people to prioritize by cost. This method targets the debts that carry the highest interest rate first. The idea is to get rid of or reduce the debts that cost the most money every month in extra interest, so that the long-term total falls. If you’ve reached the point of defaulting on your debts, this may not be an issue. Prioritizing by size means that you target the smallest debts first, to wipe out the annoying little ones, then concentrate on the big ones. The idea is to reduce the number of creditors and get positive marks on your credit report. As a bonus, bigger creditors tend to be more flexible with repayments, so you can often convince them to make do with minimum repayments while you get rid of the little ones, in return for bigger regular payments later on. Whichever method you choose, make sure you keep up minimum payments on all your debts, while you make a bigger payment to the one you’ve prioritized. As you begin to knock creditors off your outstanding debt list, you’ll build momentum and get out of debt a lot quicker than if you tried to make equal payments to each. 3) Consider Refinancing: There are plenty of debt consolidation companies that will help you refinance your current debts at a more beneficial rate and your home equity is an excellent source of quick cash, especially if you have bad credit and are forced into a collateral loan. Negotiating even a 0.1% reduction in your current interest rate can be useful when it comes to getting out of debt and freeing some additional cash. Make sure you do your research, though. Reliable refinancing companies abound, but the industry is also rife with scammers and sharks. Check around, both online and off-line, not only for the best possible deals but to ensure the company is properly registered and regulated. 4) Save on Groceries: Groceries are an essential component of every household budget, and often represent a surprisingly large percentage of overall expenditure. If there is one area where you can make important savings, this is it! You can also save on groceries by spreading your shop across several supermarkets. Although many now run price comparison schemes, whereby they hope to always offer the lowest cost for your whole shop, it is still possible to make significant savings by buying each item from the cheapest seller. The extra exercise in walking around several markets will also do you good. Start by selecting cheaper products in the supermarket, instead of more expensive branded items. If they’re of sufficiently good quality, opt for “own brand” products. Keep an eye out for bargains and reductions in your regular product ranges as well, but resist the temptation to buy new items simply because they’re on sale. Try to stockpile your frozen and dry goods during sales and promotions. Make sure you keep track of expiry dates, or you may end up losing more money than you should be saving! Make use of all the coupons you can find in local newspapers and online. Being in debt is one of the biggest causes of stress and anxiety in life. Use these tips to build a solid foundation for financial recovery. Just remember to be tough with yourself and stick to your budget, even once you are debt-free. You don’t want to fall back into the pit and go through the same hardship again! The average amount of credit card debt per household in America is approximately $16,450. The average household student loan debt amount is approximately $34,000. All tolled, Americans owe nearly $12 trillion in total debt, and nearly $860 billion in credit card debt. Each year, Americans pay over $20 Billion in credit card fees and penalties! 1) Co-Signing for Loans that YOU Can’t Afford: It is hard to say no to your kids, but there are times you have to. One of those times is when a son or daughter asks you to cosign a loan. Even if your child has the best of intentions, an unexpected job loss or financial problem could prevent them from repaying the loan. If that happens, you will be on the hook for the payments, and your credit could be on the line as a result. There are other ways to help your kids get the things they need without putting your own finances at risk. If your daughter has her sight set on a beautiful new sports car, offer to help her buy a cheaper and more modest vehicle instead. If your son is ready to buy his first house but needs a cosigner, urge him to rent for a year or two while saving money for a down payment. You might even want to give him some money toward the down payment. Either way, you keep your credit safe while still helping out. 2) Cashing Out Your Retirement Plan: When you leave a job, your employer will offer you three choices for your 401(k) plan. You can take the money, roll it into an IRA or leave it where it is. That first option can be a tempting one, especially if you are strapped for cash, but it can be an extremely costly mistake. If you cash out your retirement plan, you will be hit with a 10 percent penalty in addition to ordinary taxes. By the time you are done, you could lose nearly half the value of your retirement fund in taxes alone. Worse yet, you will be woefully unprepared when you do finally want to retire. 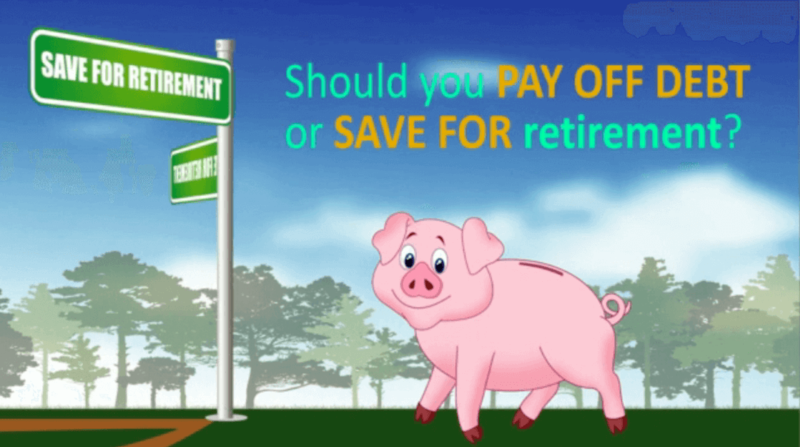 Your retirement plan is for retirement — not to help you through a temporary financial setback. 3) Buying More House (and Cars) Than You Can Afford: Your home is the single biggest investment you will ever make, and this is one place where you do not want to mess up. Buying more house than you can afford will instantly put you behind the eight ball and put you at the mercy of housing prices and interest rates. Experts recommend that you spend no more than 28 percent of your gross income on housing costs. Spending more than that could put your entire financial future at risk. Keep in mind that housing costs including not only mortgage payments but property taxes and home repairs as well. While we’re on the subject of overspending, be realistic about how much you can afford to pay for a car. We all want that BMW, but you will find more stress from the monthly payment than you will joy from seeing the BMW logo on your hood. Your neighbors and friends may be impressed for about 10 minutes after you tell them about that luxury car you just purchased, but I guarantee that they will forget about it 5 minutes after you drive away and you will still be stuck with that $1,200 a month payment. Then, when the financial burden catches up to you, you may begin to miss payments which will lead to eventual repossession and a significant drop in your credit score. 4) Failure to Communicate with Your Spouse About Household Finance: It is important for married couples to see eye to eye on their finances. Disagreements over money is one of the leading causes of divorce; if you have not discussed financial matters with your fiancé, you are setting yourself up for failure right from the start. You and your soon-to-be spouse should discuss all aspects of your financial lives, from how much debt you have to how you view saving and investing. Having such an open and honest conversation will not be easy, but it is very important. Budgeting your life is a simple process and involves keeping close track of your income and expenses on a monthly basis You don’t need a sophisticated computer spreadsheet to create your budget, but a calculator will be handy Your budget will have two sections; income and expenses Income is any money that you take in each month This may include things like salary, bonuses, commission, tips, etc The second section, expenses, includes anything for which you spend money like rent, groceries, auto fuel, etc. Debt should be a very small part of your expense section If you find that your monthly minimum credit card or loan payments make up the bulk of your monthly expenses you could have a problem with credit This should be your first priority in terms of eliminating your debt Again, start with the highest interest rate and work your way down until all debt is eliminated and your credit card balances, personal loan balances, and other liability balances are zero. A few years ago, we wrote a very popular article about learning to live within your personal means, which requires that you spend less than the amount of money you earn each month. This can be especially difficult for city dwellers who encounter much higher rent, home prices, retail costs, and a tendency to compete with others inside their social circle. If you find yourself in this situation, and an endless cycle of spending and debt accrual to support an extravagant lifestyle, you really need to take a close look at your budget and find ways to save. Your budget will allow you to put some money into savings and apply more toward paying down your debt. Once you get your spending and debt under control, you may see an improvement in your bad credit and experience significantly lower stress levels. If you have trouble sticking to a budget, or your find that your expenses and debt have gotten too out of control it may be time you get help from a professional credit counseling service There are non-profit counselors and private companies which can assist you in making and sticking to a budget There are also companies which can help restructure your debt, lower interest rates or monthly payments, and in some cases even reduce your outstanding balances. If you want to grow your wealth and make your money last, you will have to do the right thing, but avoiding the wrong thing can be even more important. Making the wrong moves can set your financial plan back by years and cost you a lot of money. You will encounter a number of debt traps as you move through life. Falling into these traps is all too easy, but climbing out can be much more difficult. Learning how to avoid the debt traps in the first place is a much better choice.